You must make reservations at least 5 minutes in advance of the time at Steelefish Grille. Live acoustic duos and trios Thursday, Friday & Sunday (seasonally) Along with Djs and Dancing. A Sea-Minded restaurant with a feast of delicious flavors. A wide selection from our regular menu along with Chef's Specials provides our guests with flavor profiles to suit every palate. Weekly rotating Craft beers and specialty cocktails set to mood for some of the areas best live bands and Djs for adding a little spice to your night life. Everything was good except the steaks. We both ordered medium but received well-done. We reserved a table for 4:30pm on my wife's birthday. I made a note on OpenTable that it was her birthday. When we arrived and stood at the hostess desk they barely looked up from their computer and then debated with another employee about what section we should be seated. Finally a hostess indicated that we should follow her. The table was the closest to the front door which was fine except for the fact that the table had not been cleaned and there was a lot of food on the floor at the front of the booth. The hostess said sorry, I'll have someone clean this up. (We literally had to step over the food to slide into the booth) A man came over and asked if we wanted to order drinks which we did. When he returned with the drinks he asked if we were ready to order and we did. A short while later a different gentleman brought the salads and quickly went away. The problem is that the table had not been set since the previous, messy, customer had left. We had no utensils. I tried to find the waiter, but after walking around I went over to the bar area and grabbed 2 sets of utensils wrapped in napkins and brought them back to our table. The entrees arrived and the food was OK. We have eaten there before and the food was better in the past. Overall I would go there for basic seafood/bar food in a noisy sports bar environment. On our night there the service was poor. My wife commented that she didn't have high expectations and they justified the comment. There was no acknowledgement of her birthday. The meal and service that we received at Steelefish Grille was outstanding! Our server was great! The food was prepared perfectly and tasted wonderful. We were seated in the covered outside area. They had live music which was absolutely TOO LOUD. We could not even hear the person seated next to us. Despite the great food and service, we left with headaches because of the how loud the music was. The singers/musicians were good (thank goodness) but it was way too loud to get any enjoyment out of it. This was our second outing to Steelefish, so you probably can predict the rest of the review. Great food, good service and fair prices, if you like seafood you will definitely enjoy most everything on the menu. Highly recommended! Mussels were undercooked with several raw. Fried fish was fine and other diner's dish was good. The noise level was like a college sports bar on game day. This was our first bad experience here other 2 times were fine. This is an average seafood place that is family friendly. We had a lot of fun! Both my friend and I have never been there before and it was great! The server was very helpful and knowledgeable about the food/drinks. the onions. They were a bit overpowering. Appetizer was great. Entrees were meh. I'd go back to give it another try. Possibly what we ordered wasn't what they do best. Stuffed Shrimp for my daughter and a Caesar salad with shrimp for me. Stuffed shrimp were cold and the sherry sauce was very sherry forward. Possibly, since it was cold, it hadn't cooked off properly. Excellent service and great food. Went with a group of people and made reservations prior, we were seated right away upon arrival. Good food, reasonable price. Didn't like being sit outside on plastic chairs though. Make a reservation hoping to get an inside seat. It was incredibly loud- they told us our reservation didn’t specify the indoor dining room or loud/bar area with live music outside (enclosed). So we were seated in the loud area - We weren’t able to move inside and had to sit next to each other to have a conversation. My husband’s steak came out nearly raw and had to be sent back. I ate alone and had to wait for him to finish after I was already done my food. When his food did come out it wasn’t good quality steak as a filet mignon usually is. The manager didn’t even take it off the check. My food was ok but not with the price point. We will not be back. 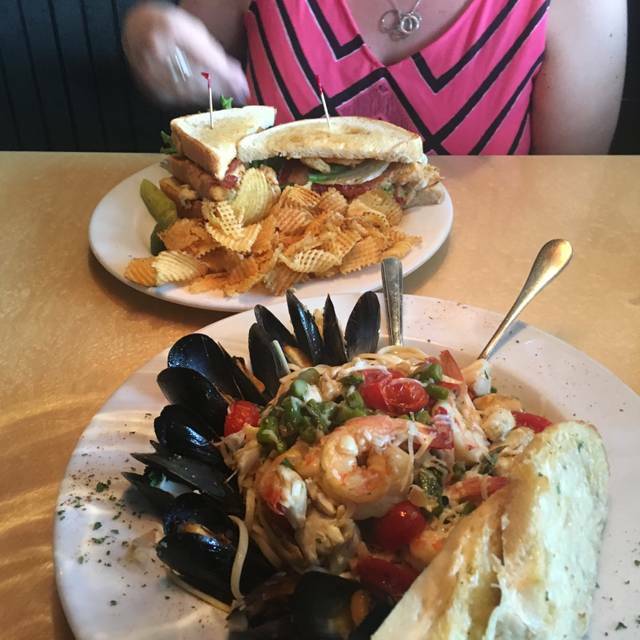 Steelefish is the best restaurant in Harford County! Great atmosphere, amazing service and delicious food. Food was good . Waitress did not check back after we order and I so after food came out I sat for about 10 minutes before I was able to flag a worker down to bring me silverware. Crowded due to St Paddy Day weekend so service was a little delayed, but food was good and service was polite and professional. Food and service is always phenomenal. I highly recommend. I've eaten in this restaurant many times. The food is always fresh and tasty and the staff bends over backwards to make sure you're well taken care of. The only complaint I have for this trip was they were out of raw oysters and I really had my mouth set for some. This is Maryland for goodness sakes.. that should never happen. Since it was Sunday, we had the special - $8 Black Forest burger and Black Forest chicken sandwich. Both delicious - side of broccoli hot and nicely steamed. The only issue was that the restaurant again did not register our Open Table points - Open Table contacted us as if we hadn’t honored our reservation. All straightened out now though!!! We really like Steelefish!! Excellent menu. Food was great. Only thing we didn't love were the mussels which were just okay-- the sauce was bland. Our server was attentive although we wished he would have pointed out the specials. Instead, we noticed the specials after ordering. It didn't matter though because our food was so good. We had reservations and our table was ready when we arrived. We will be back for sure. very good food and drinks-worth the money!!! One of our favorite places!! Food was great as always. Salmon grilled with ride and asparagus was great. A chicken dish with fried green tomatoes looked great which I have had was great. Dessert was good. Blue marcapone cake yum. Server (female) was very attentive and very personable. Enjoyed her as a server very much. As always a job well done. Far away from the music and no children so it was quiet and enjoyable. We could talk and hear each other. LOVE Steelefish. Never disappointed with food or service. Our server was Jill I think . . . She was a amazing. It is our go-to restaurant. The only thing that was an issue was the table for four people was not big enough...especially for the placing of the food orders. Not enough room. When I asked can we move to an empty booth near us, nothing was done. Then I saw two people sitting in booths. That's not good. It took almost 10 min for a waitress to come to our table. When the waitress arrived she was nice, however. Tuna appetizer was okay. Stuffed shrimp tasted a little funny. One of the steaks was ordered medium but came to the table rare. I ended up not feeling well after having the shrimp. Not sure I would take my family back again. Atmosphere and food was great. There was a live band playing. Seater asked if we wanted to be near the band but we elected to be seated in dining area. I recommend Steelefish if your looking for great food and good service..
Our server was fantastic. The crab cakes are legit. Only place in Md area that truly is full lump crab. Swear by them. First time and WILL go back!! Food timing was perfect. My husband and I first time, the food and ambience was Great! Will be visiting again! Our new favorite dining place- delishes food, great service and 5 stars on all the above recommendations! Noise from bar area spilled over into dining area making conversation at table difficult. Great food and service. Our Ofer came out correctly and timely. Thank you for an at experience! my husband and I went to dinner to celebrate our anniversary- the food and service were good, but it was REALLY loud! Great server. Fast service. Always have a wonderful experience here! Thank you! 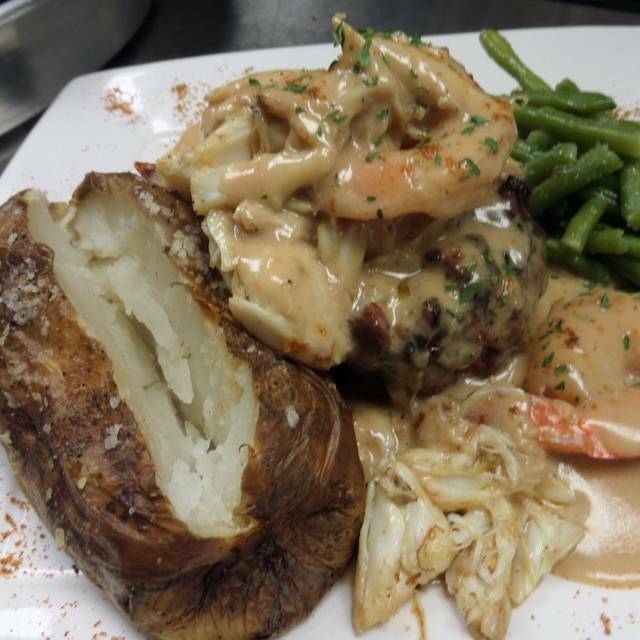 Always can count on Steelefish Grille for a delish casual meal---crab cakes are large and flavorful, steamed shrimp is perfect with onions and Old Bay and every appetizer is shareable for 4. A family favorite.